Merchandise in the AAM bookstore. 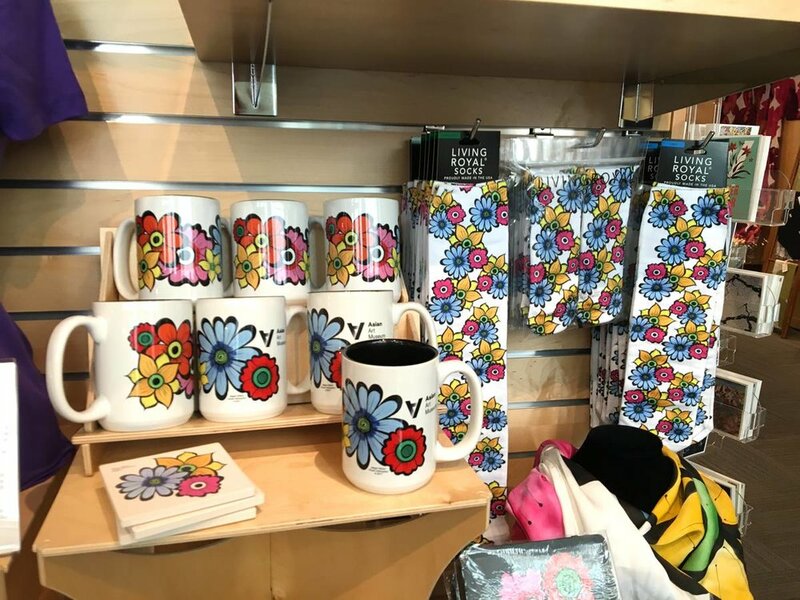 The Asian Art Museum created a number of merchandise items from my work for the Flower Power exhibition. These included: mugs, coasters, t-shirts, lapel pins, silk scarves and bow ties, socks, mirrors, journals, bookmarks, posters, baby booties, and cards. While the irony of this capitalist display was not lost on me, I was very happy to contribute all of the funds in support of the Asian Art Museum.